Allegorical figure sculpture by W.S. Frith. The sculptor W. S. Frith was more important as a teacher than as a practicing artist. He studied at the Lambeth School of Art in his early teens, and from 1872 was a student at the Royal Academy Schools. He then taught back at the Lambeth School, helping John Sparkes to transfer the modelling class to its extension at the South London Technical Art School in 1879. There he was assistant to Dalou, later himself being chief teacher of sculpture, until 1895. He taught sculptors such as George Frampton and F. W. Pomeroy, various students who went to join the great pottery company, Doulton's of Lambeth (see this page), and himself contributed to Doulton's chief entry to the Glasgow International Exhibition of 1888 - the Victoria Fountain . He exhibited some half a dozen times at the Royal Academy, showing mostly portrait busts. Frith’s work which I have seen is always very competent, with nice swirly drapes, careful, understated posing which tends to the just-off symmetrical, pleasant faces and softly rounded curves to his female figures. His quality is even, and if one were looking for a deficiency, or rather insufficiency in his work, it would be that it is hard to choose some particular figure which stands out as a chef d’ouvre. He was surpassed by various of his New Sculptor pupils, and must himself have been an outstanding teacher, and it is here that he has his influence. 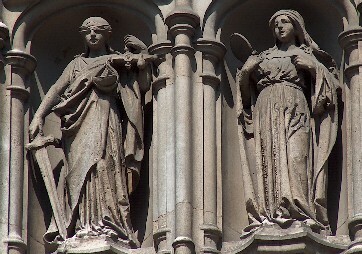 Frith's surviving work is mostly architectural sculpture. 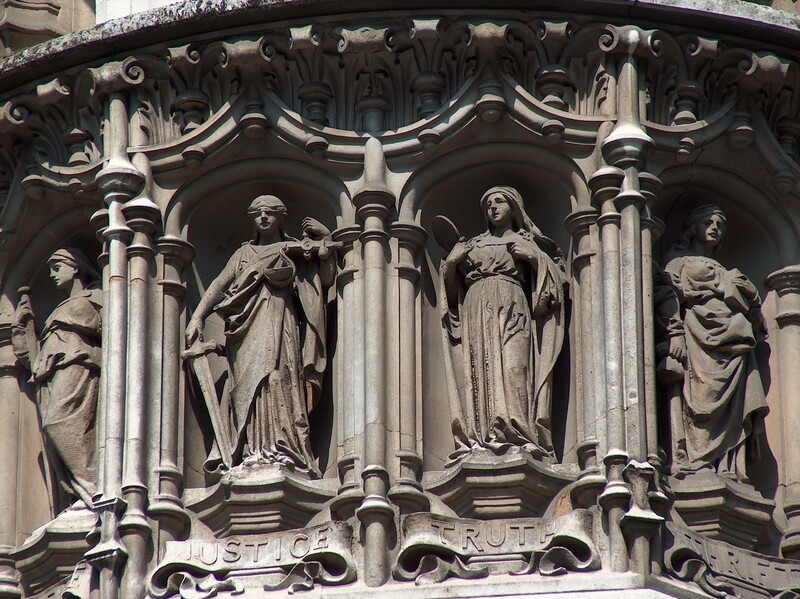 In London, he made the statues of John Bacon the Elder and Grinling Gibbons for the front of the V&A, the delicate spandrel figures on the arch over King Charles Street off Whitehall, and niche figures and reliefs in stone at 13-15 Moorgate (c. 1893). He was also the sculptor of the beautiful Edward VII fountain in Whitechapel. 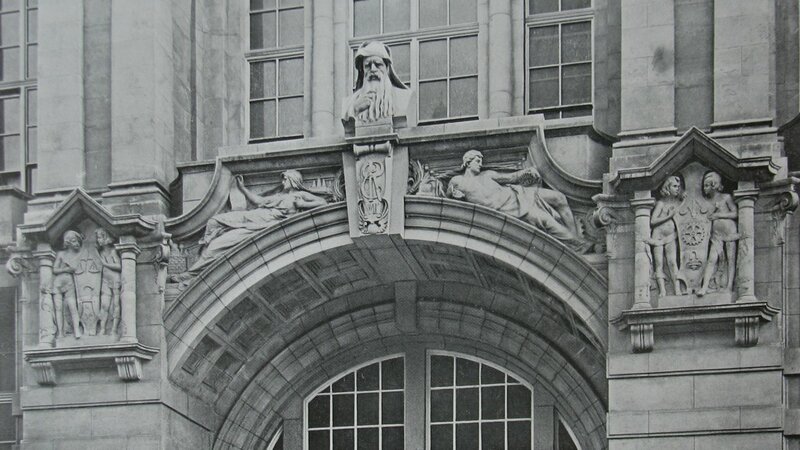 In Birmingham, he made various pediments, figure sculpture and interior work for the Victoria Law Courts. In Sussex, he made various figures for Christ Hospital, Horsham. Memorial work by Frith includes the monuments to Bishop Ellicott and T. B. Barker in Gloucester Cathedral. Architectural sculpture scheme by W.S. Frith.